Transformation in the professions in South Africa remains a challenge. Looking at key professions, a picture emerges of notable progress in the last decade or so, but also of much work still to be done. When she ended her term as South Africa’s Public Protector in October 2016, Thuli Madonsela was one of the country’s most recognised public figures. A qualified attorney, Ms Madonsela graduated with an LLB degree from the University of Witwatersrand in 1990. She also holds honorary doctorates in law from the Universities of Stellenbosch and Cape Town. In 2014 she was named one of Time magazine’s 100 most influential people in the world and an ‘inspirational example of what African public officers need to be’. Thuli Madonsela’s story is, however, an unusual one in South Africa and transformation in the professions remains a challenge. Looking at professions in South Africa, a picture emerges that indicates while there has been significant progress in the last ten years, there is still much work to be done. 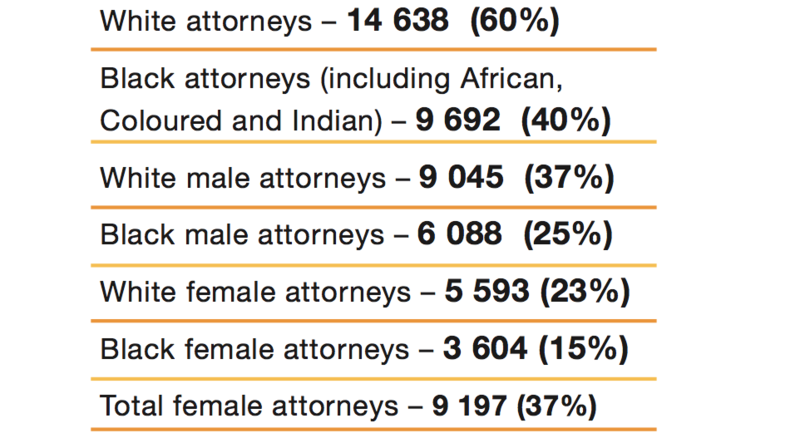 With regard to candidate attorneys, of the almost 4 900 candidate attorneys, 60% are black and 57% are female. Total candidate attorneys – 4 909 of the 2 526 candidate attorneys who registered their articles of clerkship between April 2015 and April 2016, 68% were black. Access to education is definitely still an issue. This is confirmed by the Co- Chairperson of the Law Society of South Africa (LSSA), Mr Mvuzo Notyesi. “Black aspirant lawyers still have a problem when affording legal studies. This is especially so in the poorer areas of the country where there are often single parent households or small incomes. Student loan schemes appear selective and bank study loans appear to be less available than before. In March this year the LSSA brought together various stakeholders in the profession, government and the private sector for a ‘Summit on Briefing Patterns’ in the profession. “The Summit expressed its deepest concerns about the legal briefing patterns in the public and private sectors, insofar as this endangers our constitutional democracy, and insofar as there appears to be bias against black practitioners and women practitioners in these sectors. This has a negative impact on the occupational progression of practitioners in these groupings and their economic wellbeing. “The Summit recognised that meaningful action must be taken by all stakeholders. Government is expected to embrace decisive action and must not be seen to promote skewed briefing patterns,” Mr Notyesi said. A Briefing Pattern Action Group has been established which meets every month to work on the Summit resolutions. It has developed a draft protocol on the procurement of legal services which is being discussed by the different stakeholders. Once approved it will be presented for implementation. “The LSSA supports the recent move by Judge President Mlambo to collate demographic information relating to the race and gender of advocates and attorneys being briefed in each matter, as well as the outcome of the matter. We have urged the Judge President in other divisions to do the same as this will provide valuable data on the distribution of legal work to previously disadvantaged practitioners,” Mr Notyesi said. “The LSSA also has a number of other initiatives that speak to transformation in the profession. These include a mentorship programme by our Legal Education and Development Division (LEAD), as well as a Synergy Link initiative, which is an empowerment initiative where an experienced law firm is linked with a growing, predominantly black-owned law firm to empower the growing firm to take on new and lucrative types of work. LEAD also presents a commercial law training course – in cooperation with the International Senior Lawyers Group from the United States – to provide commercial law training to black practitioners on an annual basis. “In addition, the LSSA has a School for Legal Practice with nine attendance centres across the country and one distance training centre which provides practical vocational training for about 1 400 candidate attorneys a year. In 2015, 86% of the candidates at the school were black. Financial assistance is provided to deserving students,” he concluded. 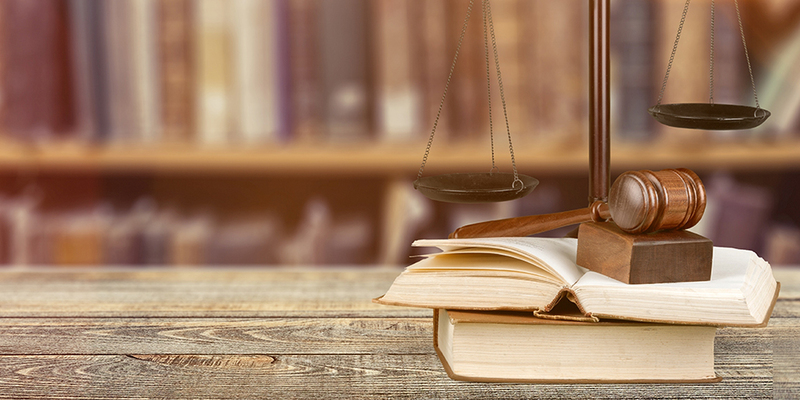 “From the side of the profession, the Attorneys Fidelity Fund makes bursaries available to third and fourth year LLB students and also to candidate attorneys and attorneys for further studies once they are in the profession. This year the Fund made R7.5-million available for bursaries. A number of law firms also make bursaries available to deserving students. “Some universities should be better resourced to compete. Universities are inclined to boost access for graduates to enhance transformation in numbers. However, the economic climate restricts employment on graduation. “Black students often do not have access to learning resources, good accommodation and IT, which limits their progress. Law faculties at all the universities do not have the same level of infrastructure and exposure or IT training. Critical skills are often lacking due to inadequate primary and secondary tuition. High student debt sometimes leads law graduates to seeking other, better-paid employment outside the profession. Free tuition may help address this situation,” he concluded. Mr Notyesi said that the SASSETA could also increase internships and extend learnerships to all avenues of qualification. Further to this issue, Chief Justice Mogoeng Mogoeng recently said that it was the responsibility of the entire legal profession to promote adequate transformation and a change in counsel briefing patterns.